A commemorative event has been organized on 8 November at the SLFI to mark the first death anniversary of late prelate Ven. 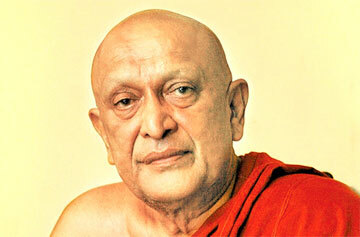 Maduluwawe Sobitha Thera, who was the Leader and Convener of the National Movement for a Just Society (NMJS). NMJS sources said during the event Dr. Raja Wijethunga will hand over a land to the NMJS towards the construction of a centre to carry forward the yeoman services rendered by the late prelate. The event organized by the NMJS will be graced by both the President and the PM, sources said. The event will be held under the auspices of Dr. Ven. Ittapane Dhammalankara Thera.